The unique combination of leaves, vegetables and fruit within this detox water will leave your mouth craving more! 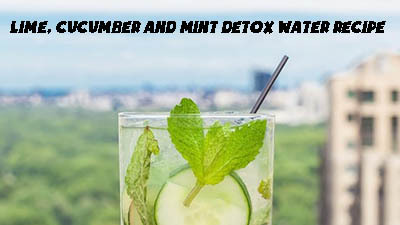 The lime, cucumber and mint detox water recipe below is perfect for drinking on summer days. The different ingredients offer a healthy beverage that will leave you feeling cool and hydrated. Best of all, this water also contributes to natural weight loss and the flushing of toxins from your body! The cucumbers offer a slightly bitter taste which balances perfectly with the tangy sweetness of lime. The mint leaves give this water a candy-link aroma that you’ll be anxious to drink. Gather the ingredients below to make your own lime, cucumber and mint detox water right now! After putting all of the necessary ingredients into your ice water it’s time to drink! The simple detox water recipe above offers numerous benefits to your body. Aside from natural weight loss your body will also get healthy benefits including better digestion, improved mood and the flushing of toxins from your system. 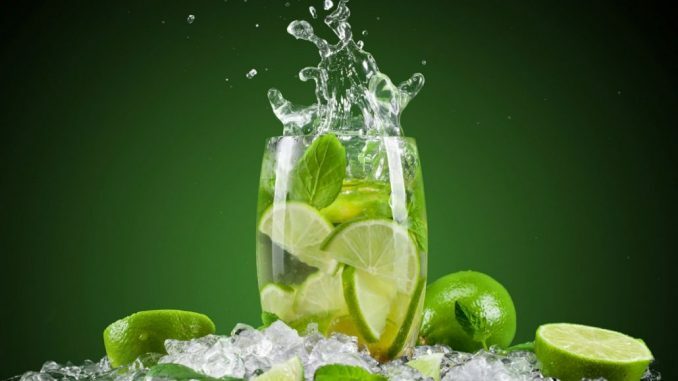 Stop waiting and try this lime, cucumber and mint detox water recipe today!